Birds Love us and our customers do too! 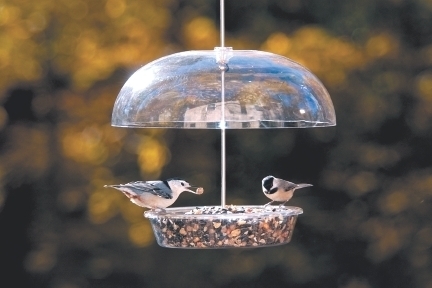 Here at Wild Birds Unlimited we are your one stop shopping experience for all of your backyard bird feeding needs. We provide quality bird food with guaranteed freshness and no fillers. Our certified backyard bird feeding specialists can help you solve almost all of your bird feeding issues, including squirrel problems. Not only do we carry the best bird food in town, but we also have a wide variety of quality feeders, houses, birdbaths and other bird feeding products. Visit our store site by clicking the link at the top for a coupon!